Minnesota has two seasons – winter and road construction – as true then as it is now. 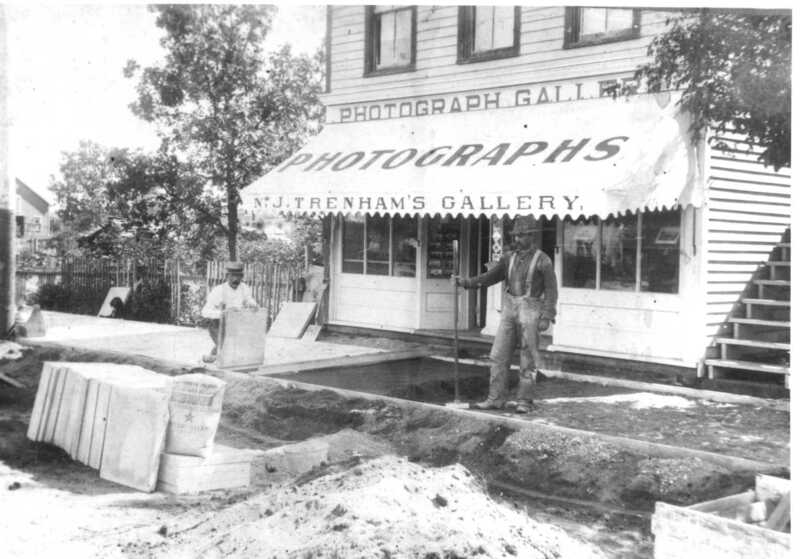 N. J. Trenham’s photo studio in Alexandria. We can thank him for many of the earliest photos taken in Douglas County, MN. Studio located between 5th and 6th, on the east side of Broadway. Check out our Summer Newsletter for the latest happenings at Douglas County Historical Society. July 21, Spruce Hill Church Summer Song Fest and Picnic, 2:00 pm. August 24 Yard Sale Fundraiser at Knute and Nicolina Nelson’s house, 8:00 am to 4:00 pm. at 1219 Nokomis Street, Alexandria, Minnesota. Latest news from the Research Department – it’s been a busy spring! Research requests from Sweden, Texas, Alaska and more. Volunteer Paul Arnesen, MD, writes about his recent Freedom Flight experience to Washington DC.